I’m totally new to the Caribbean diaspora network which is crazy, I know. However, as a newbie expat out on my own, I was in survival mode for years. It wasn’t until my first child that I began blogging in 2011, then I limited in what I could attend. After seven years on the blogging scene, I’m finally meeting influencers I’ve been chatting with for years. My invitation to Caribbean Tourism Organistion’s (CTO) Diaspora Media Lunch couldn’t have come at a better time. 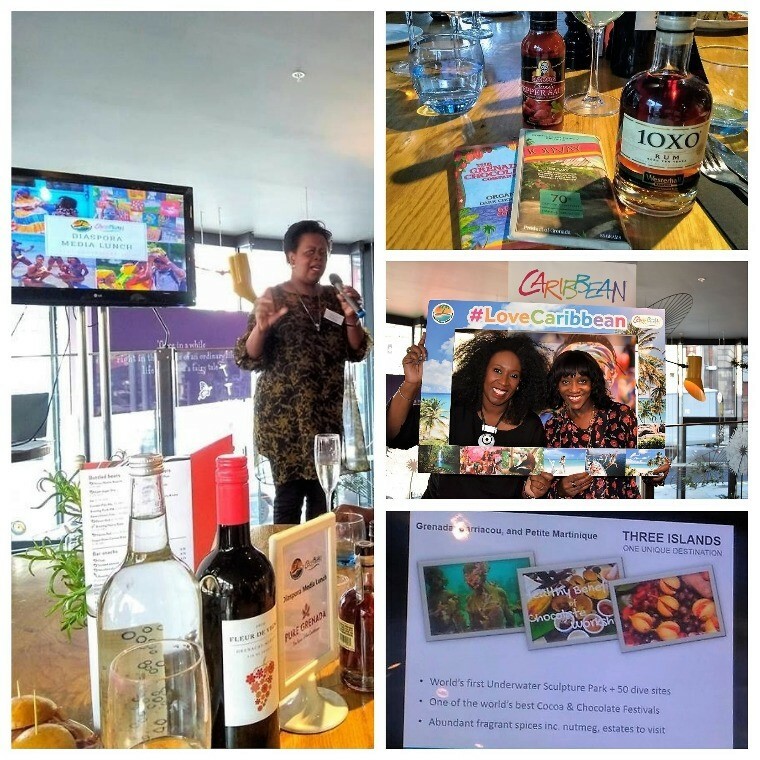 In attendance were influencers, business people, media editors, journalists and celebrity media personalities including Angie Le Mar, Angie Greaves and Brenda Emmanus. It was like a crash course on some of the initiatives happening in the region. In the same way Trinidad is just about business the Caribbean has more to offer than sun, sea and sand. Carol L. Hay opened proceedings and welcomed us. There were representatives from The Barbados Tourism Marketing Inc, Grenada Tourism Authority, St. Lucia Tourism Authority, Jewel Resorts, Playa Resorts and Newmont Travel. 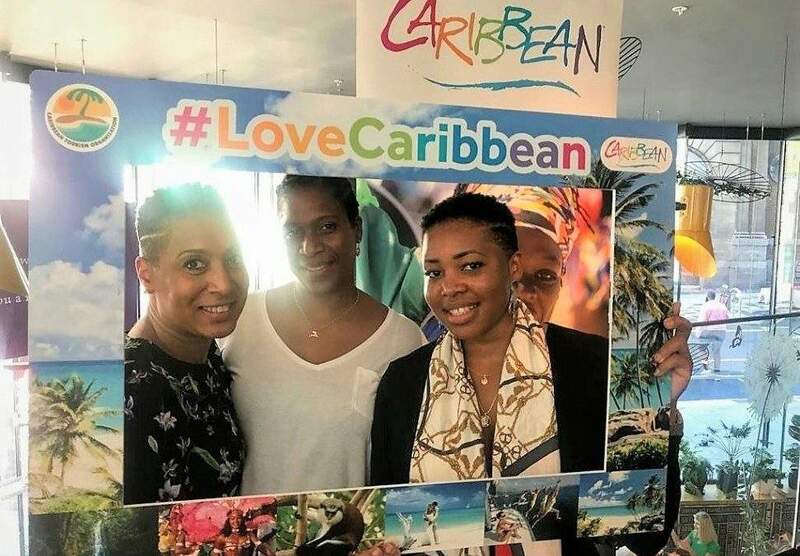 “The Caribbean is a popular holiday destination and we want to ensure that more members of the diaspora across The Caribbean and Africa see it is as a destination to travel to beyond connecting with family.’’- Carol Hay – Director of Marketing UK & Europe, CTO . She also heighted, not all the peoples of the Caribbean are English speaking. There was an attendee flying the flag (not literally) for the French Caribbean. If the news is to be believed at times, you’d think the region was all devastation from hurricanes, earthquakes, crime and violence. I’m always amazed by the entrepreneurship and resilience I see online. It’s the rich individuals’ stories that show how amazing the Caribbean is. Bottom-line, the Caribbean is open for business. It’s moving towards environmentally-friendly life solutions, there’s a wealth of creativity, mind-blowing sites and the food isn’t bad either. The CTO believes that the Diaspora is key to tourist industry and I agree. Although some of us are far from the shores of home, we possess the insider knowledge. We who better to tell visitors about the hidden gems they can enjoy like an islander. Our personal stories and intel would allow visitors to have a richer experience. 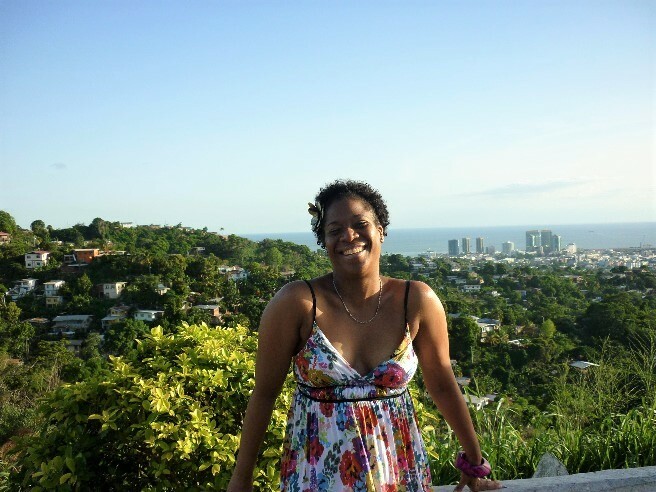 I enjoyed exploring parts of Trinidad and Tobago before I left for the UK but there still places on my bucket list. 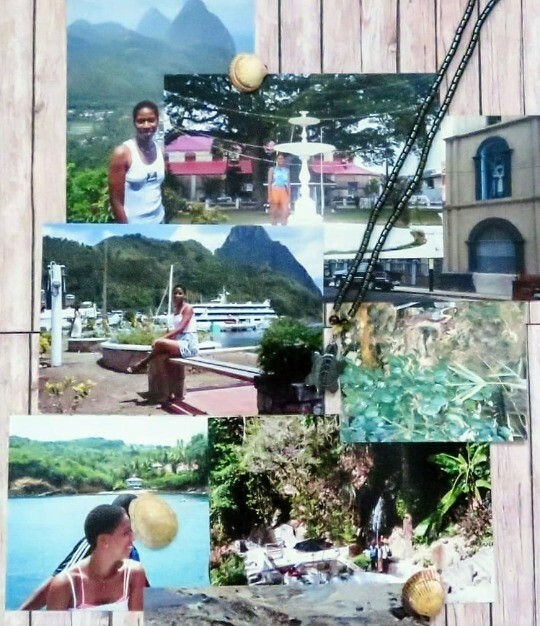 My trip to St. Lucia in 2001 is relatively fresh in my mind. I remember the Nashville country music hits that rang out in the club to my first and only salt-fish roti from an eatery called The Barbican, in Soufriere. The owner lived and worked many years in England. When he retired, he repatriated to St. Lucia and set up his roti shop. Well, that was 17 years ago and the place no longer exists. Sadly, my host in La Clery has also passed away. Clear as day I remember swimming in the sea in the early morning, the bubbles looked like fireflies and dancing to Zouk and Soca on a catamaran cruise. There will be more on that in another post, in the near future. Special memories are made when we get out of the comfort zone of staying with family when visit our home country, or going for an all-inclusive hotel package as a foreign visitor. The colder months are upon us. Many expats will be preparing to go home for the Xmas. Afterall, there’s nothing like being home for the holidays. It’s probably of the busiest time for the Caribbean outside of carnival. An alternative would be to visit just before or just after. The black cake will still be good, don’t worry. It’s always warm in the region, so while we are frizzy in the UK, there are events like the St. Lucia’s Arts & Heritage Festival 1st – 31st Oct; Barbados Rum Festival 18th – 21st Oct; Jamaica Restaurant Week 9th – 17th Nov and the Carriacou Parang Festival 14th Dec. Those are but are just a few events on the calendar..
… but by now means least, ‘The CTO’s vision is to position the Caribbean as the most desirable, year round, warm weather destination, and its purpose is Leading Sustainable Tourism – One Sea, One Voice, One Caribbean. The lunch was one of the first steps in engaging with the Diaspora ensuring that active relationships are developed to realise the CTO’s over all vision. ‘ I’m fond of that vision and plan to be of better assistance to that aim. Have ever been to the Caribbean? How was it? Or maybe you are planning on visiting. Where will you go and why?